At Continuity Programs, we give clients in industries across the spectrum, from attorneys and banks to contractors and real estate agents, access to turnkey marketing solutions that drive sales agent marketing to previously unforeseen levels. In a nutshell, we help our clients to target and attract new customers, follow up with and cross-sell to existing customers, and reconnect with past customers. A successful business is built on two cornerstones of marketing: lead generation and customer retention. 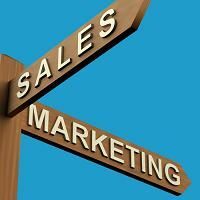 With a focus on furthering brand awareness through one consistent message, you can use cross-marketing tools to position your sales agents for success, right out of the gate. Continuity Programs has spent decades fine-tuning sales agent marketing campaigns. Our programs take tested print-media marketing and combine them with cutting-edge digital tools and social media, so that sales agent marketing is driven by an awareness of your brand and a means to communicate that message to your customers. Customer retention – Decades of expertise have led to the development of our unparalleled Connections marketing program, a turnkey solution for sales agent marketing for small businesses. We work closely with every client to develop a comprehensive campaign that uses multiple forms of marketing, including e-mail, print and social media, with programs that span one to seven years. Lead generation – We use a variety of marketing tools to generate leads, primarily from your loyal customers. We can customize a program that includes print mailings, customer satisfaction surveys, lead generating surveys, e-mail marketing, E-cards, QR codes, online customer response forms, E-alerts and thank you cards. And every communication touch point is personalized through our proprietary database and dynamic customer tracking system. With Continuity Programs doing all the work, your sales agents are free to focus on closing new business.